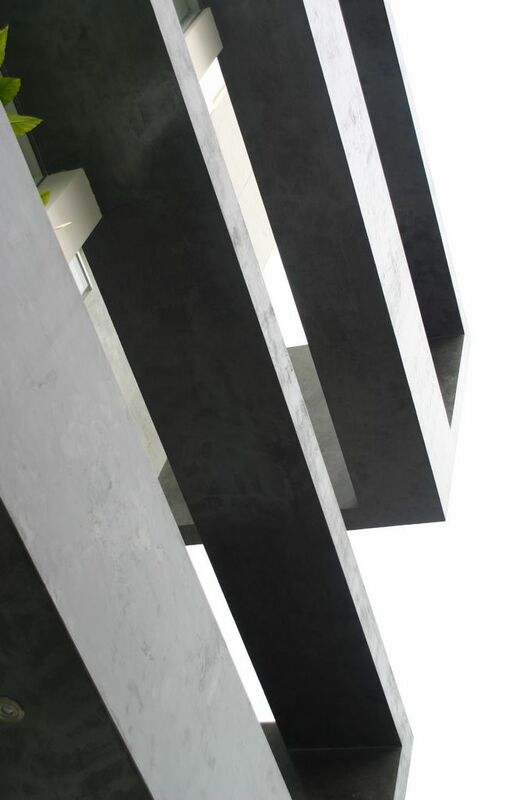 The housing building in Alfredo Salazar was a breakthrough in the use of slabs as aesthetic features. 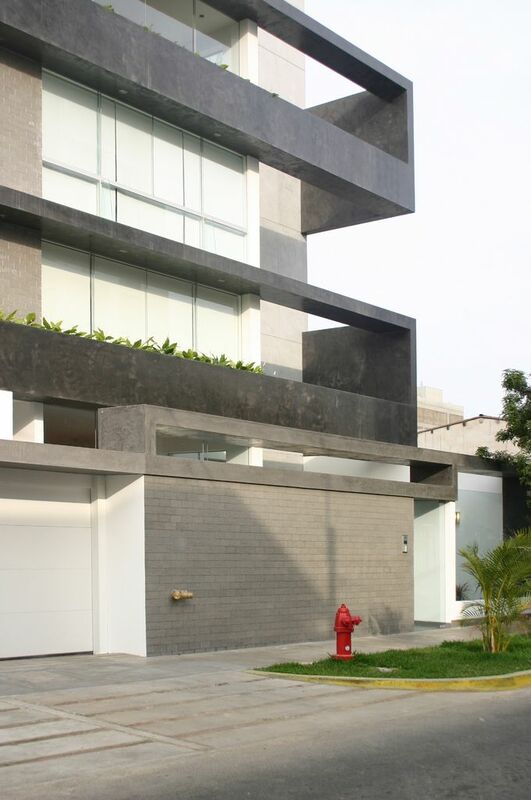 The building is a seven floor building in a very important street in Lima, Peru. Each floor houses one apartment of approximately 200 sq.mt. 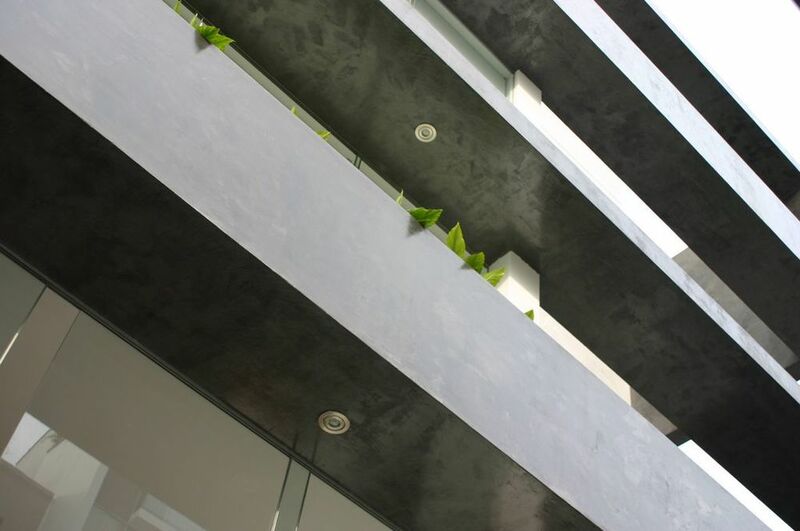 Conceptually the horizontal dark grey slabs balance the composition and generates a long roofed planter.